With 30 million global players, Idle Heroes is fast becoming one of the most exciting casual gaming apps on mobile devices. This free-to-play mobile game sees players begin their quest in Sara Forest towards High Heaven, marching their band of loyal followers into ancient ruins to conquer evil forces. 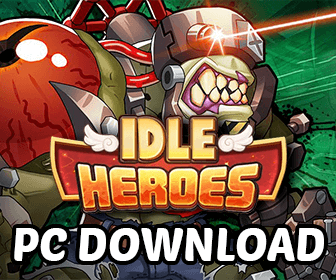 As Idle Heroes becomes an increasingly popular casual gaming brand in popular culture, it begs the question as to whether Idle Heroes could broaden its appeal into other forms of gaming. One such industry that could welcome the Idle Heroes brand with open arms is the world of iGaming. Online casinos have successfully developed state-of-the-art video slots for all kinds of successful themes, ranging from Hollywood movie franchises to rock bands and classic video games. Although Idle Heroes is by no means as popular as the likes of Tomb Raider, Call of Duty: Modern Warfare and Resident Evil, having 30 million active casual gamers on Android and iOS is no mean feat. It’s not hard to imagine it being available among the many leading mobile iGaming apps to play for real money on the go. The Wishing Fountain, formerly known as the Idle Heroes Casino, could make for the ideal basis for an Idle Heroes video slot. It is the place where Idle Heroes players can use their Wishing Coins to spin the Wishing Fountain to win prizes such as gold, magic dust, spirit and monster souls. These rewards could quite easily be redesigned as symbols that appear on a five-reel video slot, with the highest-value symbols such as the gold paying out the maximum jackpots for landing five on a single payline. In the traditional game of Idle Heroes, those with a high enough player level can also win dark and light hero shards that can be used to help players during their next Heroic Miracle Event. The dark/light hero shards could quite easily be used as the slot game’s scatter symbols, helping players to unlock in-game bonus rounds such as a mocked-up Heroic Miracle Event. The Casino Store is the place for players to spend their Coins. The Lucky Store could also be a suitable location for another in-game bonus feature, with a pick-me-style bonus round where slot players can choose Luck Coins to reveal their bonus prize. Casual games such as Idle Heroes and video slots have a lot in common. Neither have particularly complex gameplay, with their titles designed to have a genuine pick-up-and-play feel. This means that players don’t have to invest significant amounts of time and effort into learning the ropes and developing their virtual game environment. They can simple log in and start playing from where they left off at their convenience. We’re also on the cusp of entering a virtual reality (VR) era for iGaming, where players will be able to transport themselves into their video slot environments. 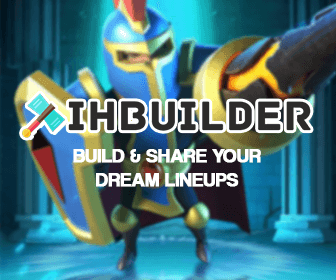 This could be a major attraction for casual gaming developers, allowing slot developers to create virtual worlds of games like Idle Heroes that fans can get inside and explore whilst spinning the reels.